From the globally popular smartphone community app, "CocoPPa", comes a special lovely app, "CocoPPa Play"! "Love Fashion!" "Wanna get excited with friends!" 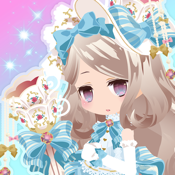 Choose plenty of outfits and produce snazzy fashion shows with CocoPPa Play! . Get Start Bonus for 12 days in a row. Get the SP Rare Gacha Ticket on day 7! You must get this rare item! CocoPPa Play is an avatar app where you can showcase your avatar as a model in fashion shows. You can also visit people's fashion show all over the world, and make friends to have shows together. ●New avatar outfits are continuously added every week! ●You can get points by cheering for shows and exchange them for free outfits. ●You can master a lot of Posing by gaining model experience. ●Help unique characters and you'll get stage decor items without charge. ●Various tie-ups with popular characters will be released soon. You can organize your avatar as "My Model" in shows. In the show, you can add up to 3 models. You can set not only your models, but your friend's models as well. In addition, you can create your original show by setting stage set or decor item. Cheers people's shows and post a message as well as decorating your show. You will be able to get free outfits by exchanging points you get by cheering for shows. There are many unique sheep in the "Farm". Care for sheep, find and shear new sheep. You will get free outfits. Complete daily quests and get various useful items in CocoPPa Play. Exceeded 40 million downloads all over the world! Don't miss your chance to make your smartphone look truly cute! Customize your phone and make it much cuter than your friends. No more messy home screens with icons of different taste. If you want them cool and organized, use the characters' themes that you really like. CocoPPa can do all the above and even more! We've got tons of new content coming in every day from our international user community. We assure anyone will find something they like! It's very easy to decorate your home screen with CocoPPa!